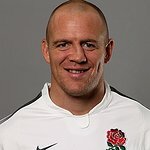 Mike Tindall is a former English rugby player, and is married to Zara Phillips, eldest granddaughter of the Queen. He is patron of Rugby For Heroes, which works with the rugby community to raise funds and awareness for military personnel who are making the transition to civilian life. Google trends for "Mike Tindall"